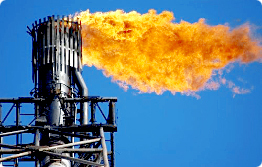 Natural gas – profitable fuels for electric power stations. First, it is reasonable to mark that it is available almost everywhere in industrial areas of Russian Federation. Second, thermal gas-fired power stations are ahead of electric power stations which operate on coal, hydrogen, uranium - requiring less investment for construction. Third, electric power stations which use natural gas as a fuel, have bigger electrical efficiency (55-66%; to compare, coal power station has 32-34%) and much lower capital costs for 1 megawatt hour of installed power capacity. Fourth, economical efficiency of natural gas is undeniable comparing to other types of fuels and alternative energy sources. Gas-fired power stations are constructed 3-4 times faster (during 14-18 months) than modern coal power stations (54-58 months) or nuclear power stations (56-60 months). Fifth, natural gas is more economically viable and accessible solution for consumers and manufacturers of electric power, who are able to tell money. Future dominating of alternative energy sources is just a fantasy yet. Replacement of fossil fuels will be possible at very distance date. Besides the problem of big spaces, alternative sources are economically failed at the present time. Meanwhile, the most economically efficient and ecological adequate type of the fuel is still natural gas. Gas-fired power stations somehow remind usual gas stoves, they almost do not have polluting emissions to the atmosphere. Today proportion of gas in the structure of the fuel balance in electric power stations is approximately 70%. 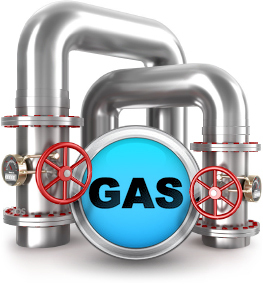 Having advantageous ecological characteristics, natural gas is in increased demand on the worldwide market. Many foreign companies suppose to increase a range of natural gas in the fuel balance of their countries. Russia pays heightened attention to the export of gas and also to its utilization on electric power stations in order to improve ecological situation and to increase efficiency of electrical energy industry. Energy strategy of Russia (gas for needs of electrical energy industry and for export) allows to draw certain conclusions. Gasification of non-public area will be realized according to the leftover principle, for the account of final consumers. The possible solution is independent gasification of objects. Having significant initial cost independent gas supply on base of Italian gas tanks from «Antonio Merloni Cylinders Ghergo Group S.p.A.» will be the most sustainable solution for gasification of the territory without “blessedness” from the main gas pipeline. Italian gas tanks from «Antonio Merloni» will become a bargain; they will be paid back thanks to its huge service life (50 years).